Dr. Sara Gottfried is a physician, author, and writer. 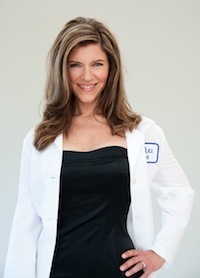 She is a Harvard/MIT-trained physician scientist with more than 20 years experience. As an integrative physician, Dr. Sara doesn’t treat problems or even symptoms. Rather, she treats people and specializes in getting to the root cause of disease. She recently wrote The Hormone Cure (Scribner/Simon & Schuster), released March 2013, in order to help spread knowledge and help women around the globe. Almost two years ago, Dr. Sara reached out to Virtual Assistant Israel for support. A friend had recommended she investigate our firm as potential support network, so she could achieve her ultimate goal of reaching the core group of women she wanted to help, bolster, educate and enhance. Dr. Sara was ready to realize her vision and go global with the partnership of a business strategist. She needed a proactive, savvy VA to help her work through her goals tactically, establish a strategy and execute it while she continued to tend to her practice, treating hundreds of patients each month. We matched Dr. Sara with Cary, a real powerhouse of a business strategist who partners with her clients in analyzing their needs, developing strategy and managing deployment. Cary championed the analysis of Dr. Sara’s contacts and patients – what was the current demographic she was reaching, and how could she connect to those who needed her most? Based on this extensive analysis, Cary and Dr. Sara were able to draw up an action plan including the development of a dynamic website packed with articles and information, a Facebook group offering 24 hour support, and online classes, empowering any woman – worldwide – to learn from Dr. Sara from home, at their convenience. As Cary earned Dr. Sara’s trust and confidence, her responsibilities grew. The next step was supporting Dr. Sara in the development of an online wellbeing program, Mission Ignition. Leaving the medical content to Dr. Sara, Cary stepped in and helped develop program strategy including determining webinar offerings and intervals, recommending technology selection, ideal communication and follow-up strategies, material distribution and access to support for all program participants regardless of physical location. Cary now manages all program strategy and execution, and it is truly an ongoing success, allowing Dr. Sara to grow her reach and focus on the aspect of her work that she loves most – believing in women. Embracing how much Cary contributes to her business on a daily basis, Dr. Sara selected three (!) additional VAs to help support Cary and get more accomplished. Cary is the Team Leader (which means Dr. Sara only has one trusted point of contact while Cary manages the additional staff). The first additional VA focuses solely on scheduling, the second is dedicated to research and a third manages CRM via InfusionSoft. With her team of four behind her, Dr. Sara is ready to help women worldwide – and we could not be more thrilled to support her in this endeavor. I’ve worked with a variety of Virtual Assistants in my 12 years as an executive coach and facilitator. My VA from Virtual Assistant Israel blows them all out of the water. My VA’s writing is superb. Her research is expertly done. Her social media work is fast and on point. She is great to work with because she’s smart and insightful about content, as well as what she contributes to it. My VA is delightful to work with, and she has good judgment about when to keep plowing through a project, and when to ask for more direction. Plus, she understands how to support executives and business owners…by making our projects easier and less time-consuming for me!